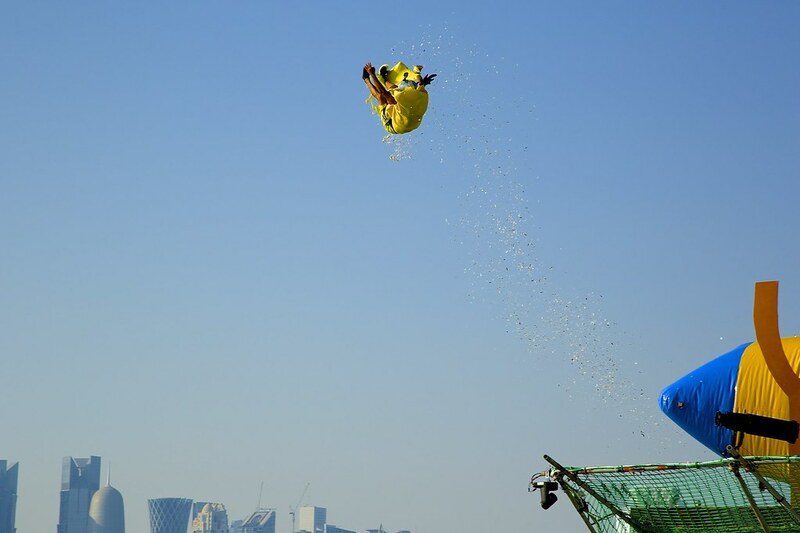 None of the machines went very far, but people seemed thrilled nonetheless to be a part of Qatar’s first RedBull Flugtag event. 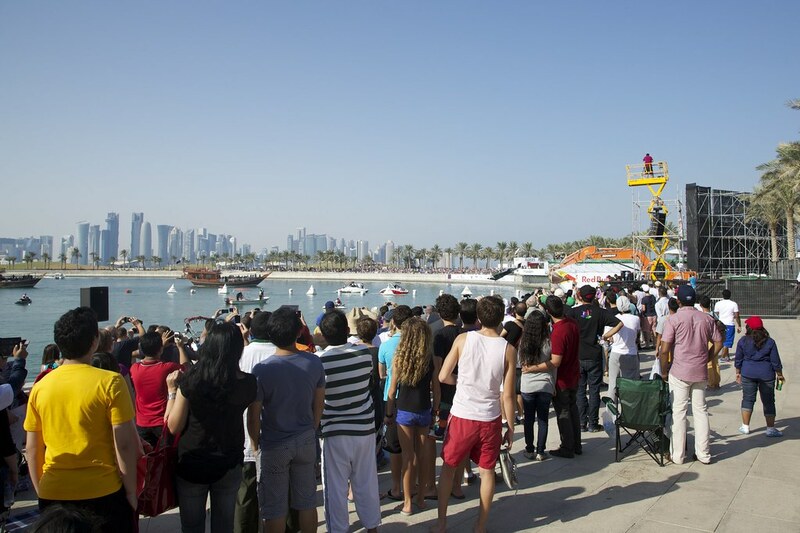 Throughout the afternoon, spectators – including many families – picnicked at the park while watching the competition. Because teams were judged not just on flight distance, but creativity and showmanship, many participants dressed up in elaborate costumes and performed dances. Team designs included Angry Birds, a Qatari man, a camel, and a giant slice of pizza. Some competitors also flew the flags of their countries to represent their nations. More photos on Flickr. Originally published on Dohanews.co.